For this salad its best to use a food processor or other slicer that creates very very thin slices. First peel the cucumbers and then slice them very finely. Mix the white wine vinegar with the honey and a pinch of salt. 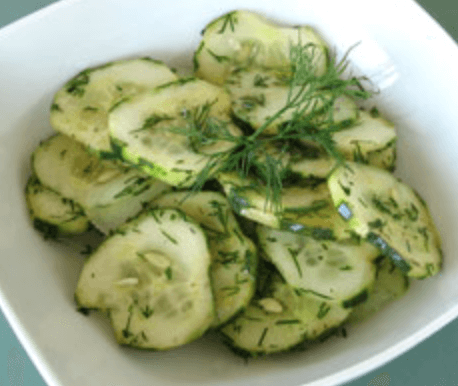 Poor over the cucumbers and sprinkle with dill.